Is It Possible To Rewire A Negative Brain? Did you know that the human brain is hardwired to have negative thoughts? Although evolution has caused our minds to think predominantly negative, our health improves immensely when we reverse that cycle of thinking. In episode 5 of the Success Starts Here series, Dr. Daniel Amen and Tana Amen tell you how to think in a way that causes your brain to release more good chemicals, and less negative ones. 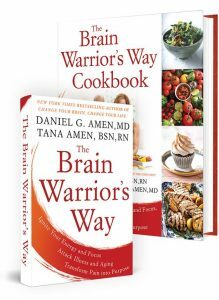 Dr. Daniel Amen:	The Brain Warrior's Way Podcast is brought to you by Amen Clinics, where we've transformed lives for three decades, using brain SPECT imaging to better target treatment and natural ways to heal the brain. For more information, visit AmenClinics.com. Welcome back. We are talking about success starts here, and today we are going to talk about mastering your mind. I think this is one of the most important things in any program, is mastering your mind. Dr. Daniel Amen:	No question about it, in the Wester Society, and this has been going on for thousands of years. We have a monkey mind. Tana Amen:	An undisciplined life. Dr. Daniel Amen:	An undisciplined life. Tana Amen:	And I always think of it like that inner child. Would you ever let your children behave a certain way? And if not, you gotta reign that kid in, right? Dr. Daniel Amen:	So we're gonna talk about how to feel happy and present while conquering worry and negativity. So there's some master your mind principles. One, ever time you have a thought, your brain releases chemicals. Tana Amen:	And, see, this was important for me to learn a long time ago. Tana Amen:	Good or bad. Dr. Daniel Amen:	-your brain releases chemicals. Your body reacts to ever thought you have. Dr. Daniel Amen:	When you have a happy thought, a hopeful thought, your brain releases a set of chemicals that change the physiology in your body. So if I think of you, my heart rate goes slower, my hands get warmer, they get dryer. My breathing becomes deeper. Tana Amen:	When you first met me, though, was faster. Dr. Daniel Amen:	Heart rate variability goes up ... When I'm around up, I just feel happiness. Dr. Daniel Amen:	-my hands get sweaty. They get colder, my muscles get tense, my breathing becomes disrupted and heart rate variability goes down. Tana Amen:	Right. And this principle is so important, it's one of the reasons that I have these sort of rules. I like rules. Really like rules. Dr. Daniel Amen:	What did we say about you're a [inaudible 00:03:04]. Tana Amen:	Yeah. Well, it's not that bad, but it's bad enough that I have rules. Dr. Daniel Amen:	You have rules. Tana Amen:	Yeah, no. I'm talking about the morning routine with Chloe before school. And one of the reasons is I didn't want her growing up ... That's not what I meant. I don't want my daughter growing up, our daughter growing up with that same level of stress and chaos. So when I learned this, my rule, no news in the morning, no news at night. And for her benefit, not calls with drama. Unless you're dying and bleeding out, you cannot call me in the morning. You can call me later. But that morning time needs to be a time of focusing on positive things. Dr. Daniel Amen:	So you're activating your frontal lobes to make a good decision. Dr. Daniel Amen:	I like that. Thoughts are powerful. Your thoughts are hardwired to be negative. Tana Amen:	Isn't that interesting? Dr. Daniel Amen:	Because, from an evolutionary standpoint, that's how we survive. Dr. Daniel Amen:	And the brain hates change. Tana Amen:	-what's wrong to keep you safe. Right. Dr. Daniel Amen:	And the brain hates change. Thoughts are automatic. They just happen. You don't plan the thoughts that come into your head. Dr. Daniel Amen:	And they often lie to you, that just because you have a thought has nothing to do with whether or not it's true. Tana Amen:	Yeah. You'll hear some people say something, "But I think ..." and they're convinced of something that's kinda crazy, and so my new thing with working with family is, so what? Is it true? So what, you're thinking that? Is that a true thought? Dr. Daniel Amen:	So you can learn to eliminate the ANTs, the automatic negative thoughts, the thoughts that come into your mind automatically and ruin your day that steal your happiness. Dr. Daniel Amen:	And so we have different ANT species. We have created, my new book, Captain Snout and the Super Power Questions, love that book, talk about seven different types. All or nothing ANTs. That's where things are all good or all bad. We have the best marriage ever in the history of the world. Dr. Daniel Amen:	And then, when you're irritated at me, we have the worst marriage in the history of the world. Tana Amen:	Right, no. He's not saying we do. No. Clarify. We don't do that. You're just using that as an example. Dr. Daniel Amen:	As an example. Tana Amen:	He's making it sound like ... (Laughing). 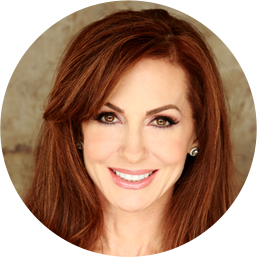 Dr. Daniel Amen:	So the world is gray. Dr. Daniel Amen:	And many people really see it as black or white, when it's just not accurate. Tana Amen:	That's a hard one. Dr. Daniel Amen:	-about themselves or their spouse, or their children, and it's generally not helpful. Tana Amen:	And one of the reasons women do tend to more focused on, and notice more, what's wrong is from going back to what you said earlier, hunter gatherers, right? Women actually survived in communities together by paying attention. By warning each other. But, let that run away and it's like a runaway train. 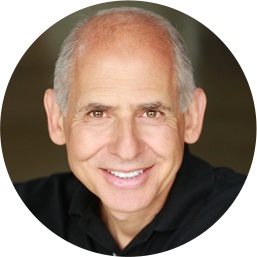 Dr. Daniel Amen:	Guilt-beatings, where you use words like, "should, must, ought, have to." Tana Amen:	Yeah, you should all over yourself. Dr. Daniel Amen:	Did you really say that? Dr. Daniel Amen:	Whoa. Labeling. Where you label yourself or someone else with a negative term. He's a jerk. She's cold. Tana Amen:	Does that count when you're in traffic? Dr. Daniel Amen:	Yes, it counts. Tana Amen:	Oh, Just checking. Dr. Daniel Amen:	Yes, it counts. "What an idiot!" Because when you say that, you lump him or her with all of the idiots you've ever known and you can't deal with the situation logically. Dr. Daniel Amen:	Fortune-teller ANTs. It's where you predict things are going to turn out badly, even though you don't have evidence of it. Mind-reader ANTs, where you believe you know what somebody else is thinking, even though they haven't told you. I have 25 years of education and I can't tell what anybody else is thinking. Dr. Daniel Amen:	A negative look from someone else may mean nothing more than they're constipated. Dr. Daniel Amen:	You don't know. I have so many patients who go, "Oh, they're thinking this." Or "They're thinking that." And I almost feel bad, breaking it to them. And I teach them the 18-40-60 Rule, which says when you're 18 you worry about what everybody's thinking of you. And when you're 40, you don't give a damn what anybody thinks about you. And when you're 60, you realize no one's been thinking about you at all. Tana Amen:	I actually love that rule. Dr. Daniel Amen:	People spend their days worrying and thinking about themselves, not you. Dr. Daniel Amen:	And then the blaming ANTs, which are you're blaming other people for how your life is turning out. Tana Amen:	And that, actually, I think, dis-empowers you more than almost anything. Dr. Daniel Amen:	It's the red ant. Dr. Daniel Amen:	It's the worst ant. Because whenever you blame someone for how your life is turning out, you become a victim and you can't change anything. Tana Amen:	No, I really love this idea of responsibility does not mean blame. Right? I learned this many years ago when I was feeling very sorry for myself and feeling like a victim. Someone very wise taught me this, and responsibility and blame are not the same thing. Taking responsibility for your life, no matter what it is. Whether you got cancer, whether it's someone close to you died and you are grief-stricken. It does not mean you're taking blame for the situation. It means that you have the ability to respond. That's what responsibility means. And I love that. As soon as I heard that I went, "Whoa. Okay, I don't want anyone else controlling and having the ability to respond and control my life. I want that ability." Right? So I'm willing to take 100% responsibility. It's not my fault I got sick, but I'm still willing to take the responsibility for that. It changed the way I saw things completely. Dr. Daniel Amen:	So, five daily thinking habits to build neural networks in your brain, is you want to eliminate the ANTs as they attack. So whenever you feel sad, mad, nervous or out of control, write down what you're thinking, and then challenge it. Is it true? Can you absolutely know that's true? Stop the monkey mind. And how you stop the monkey mind is you just start paying attention. It's like, wow, my mind's all over the place. Is that helping me? Tana Amen:	And you can do little grounding meditations, like five minute grounding techniques. It just changes everything. Dr. Daniel Amen:	Actually, in this day and age you gotta do it for two minutes, because people have such a short attention span. Dr. Daniel Amen:	Right? So I'm like, just take 10 deep breaths. Five seconds in, hold it for a second or two, five seconds out. Tana Amen:	Do you recommend saying a mantra? I like saying a mantra while I do it. No? Dr. Daniel Amen:	What's your mantra? Tana Amen:	Well, I have several. Dr. Daniel Amen:	Do you want to share? Tana Amen:	Well, one of them is, "I am a living example of health and fitness." I actually came up with that when I was sick. And it was because, as you stated earlier, reach above where you're at, because I figured if I kept telling myself that, then that would make me behave a certain way, right? So now look where I'm at. But that's really cool. Dr. Daniel Amen:	I am a living example of health and fitness. Tana Amen:	Mm-hmm (affirmative). And so, that way, when I don't feel good is when I actually say it the most, and another one is ... It's just something I like from karate. It's just, "Wisdom, focus, energy." Before I go into a meeting or something, I go through this thing where I take the deep breaths and it's just, "Wisdom, focus, energy." To get my grounded. I'll say a two-minute prayer, and then I'm good. Dr. Daniel Amen:	Love that. We want you to have appropriate anxiety. Mastering your mind is not about losing anxiety. You have to have enough that when you see the cheesecake, you really do see it as a weapon of mass destruction, because it is. And every day start the day with, "Today is going to be a great day." Love that one, because when you do that, your brain will find the reasons why it's going to be a great day. If you wake up and you go, "Today is going to be a bad day." Your brain will find why it's going to be a bad day. Discipline your mind. And every day, take a daily dose of gratitude and appreciation because they're like medicine for your soul. Dr. Daniel Amen:	I have this cool little graph, maybe you can help me go over it. Dr. Daniel Amen:	It's on the benefits of gratitude. So, I'll do personality, you do health. So, for personality, you're less materialistic when you're grateful, less self-centered. Tana Amen:	Isn't that true? Dr. Daniel Amen:	More optimistic, increased self-esteem, and more spiritual. Tana Amen:	So true. For health, you have improved sleep. You're less sick. You live longer, so your longevity is affected. Increased energy and more exercise, you tend to exercise more. Dr. Daniel Amen:	Emotionally, you have more good feelings. You're more relaxed, more resilient, less envious, happier memories. Tana Amen:	And for career, better management, improved networking. Interesting. Goal achievement, improved decision making, and increased productivity. Dr. Daniel Amen:	And socially, you're more social. You have a healthier marriage. Kinder, more friendships, deeper relationships. Tana Amen:	And this is just by focusing. Tana Amen:	But I know people who do that. I have friends who do that. And I just ... You're not a good friend to somebody if you just let them do that. So, when I have friends who do that, they wake up and all they do, when you get together with them, if you go to lunch or whatever, is they've gotta do this beating up their spouse thing, and what a lot of women do is ... They're like, "Oh, yeah! That jerk." And they just jump in. You're not being a good friend if you do that. You need to help that person get out of that place and not just sit there and ... Don't do the whole, "Let's beat up on our spouses." Thing. It's not a good habit, at all. Dr. Daniel Amen:	Getting rid of the bucket of smelly fish. So important. So you're kinder, you have more friendships, you have deeper relationships. Success starts here, master your mind.